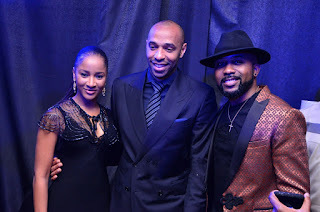 There was a black-tie event held last night in honour of football legend Thierry Henry and it was awesome. Alot of celebrities graced the event including the newly wedded couple Bankyw and his wife Adesua Etomi. 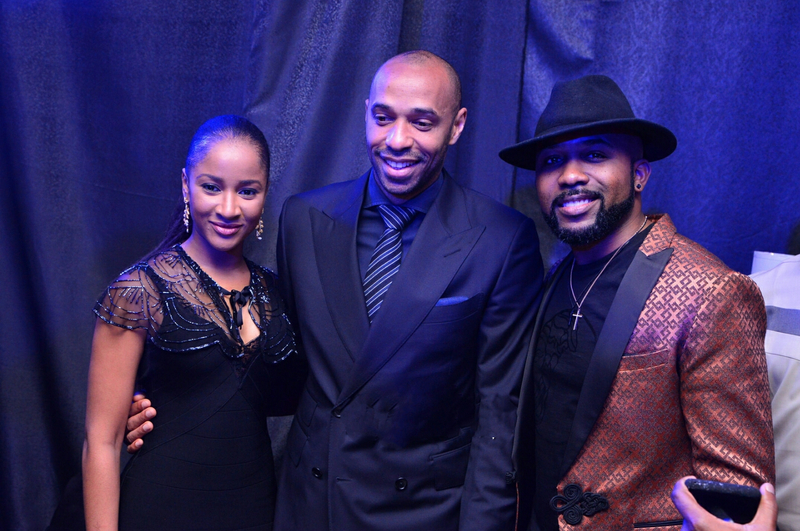 Although what i don't understand is the smile on Bankyw's face as another man grabs his wife's waist. The waist grabbing should have followed with correct punch from Bankyw na, or don't you think so? Lol! Just kidding. The trio looked really good in their outfits.